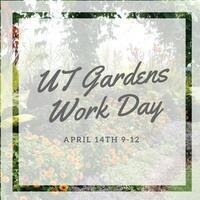 On April 14th from 9-12 the Office of Sustainability will be having a service day in partnership with the UT Gardens. We will be working in the Native American Interpretive Gardens, which utilizes native plantings, and the signage includes the Cherokee names for each of the plants, along with any uses they had for the plant. This garden space features a diverse native plant collection as well as extensive interpretive signage honoring the connection between the native people and plants. It now serves as an important aesthetic, educational, and service learning resource for the UT campus and the larger community.